I was surprised by an email from a looong time customer Alyssa. She surprised me by asking me to write a review of her products and sent me a sample. Well I was more than pleasantly surprised! Attending the beautiful Latin Mass means we are blessed to carry a large missal for Mass. 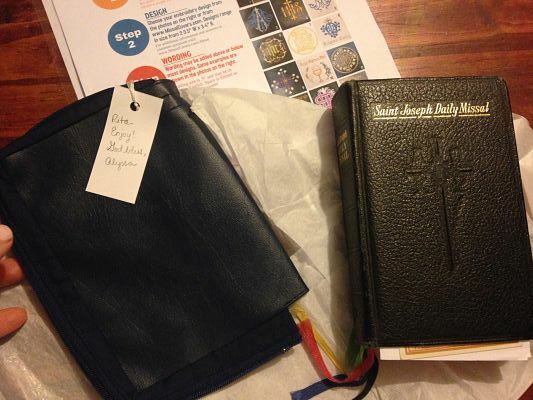 For some we have an older Marian Missal like I had before our fire, or a St Andrew's Missal, a St Joseph's Missal or many others. If you are like me, I cherish anything old and used. Maybe that doesn't work so well for a used car, HAHA - but for books they only get sweeter with time I find. So all of my missals have been used and they are often fragile, after having been the companion of someone that has gone on before us, hopefully with the True Faith. Taking care of our Missals helps us from having to purchase another. As we all know Missals can cost us more than $50 and sometimes it just isn't the same as our older, favorite one anyhow. 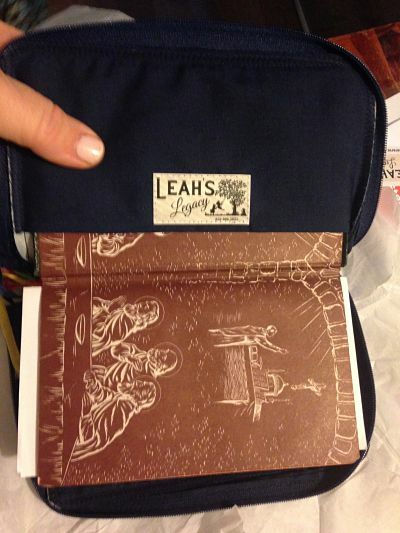 So when Alyssa sent me this beautiful cover, I was very happy to have some protection for my old St Joseph's missal that was donated after our fire. I was surprised to hear how busy Alyssa was with this labor of love her family has created. She tells me she is hoping to add Tote Bags, Rosary cases and Aprons to her store, (I want ONE!) but she has been so busy with orders she can't get them up fast enough. Who says the One True Faith is dead? Rita: How long you have been doing this ? 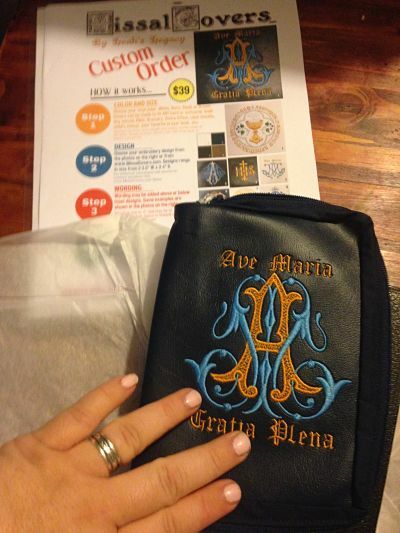 Alyssa: I have made zippered fabric covers for the missals my family uses for many years. I've made them in all sizes, including for the small children's missals (kids are rough on those little books so covers were a must). Only in the last year did I begin making them embroidered and on vinyl. The construction though is almost the same. I do not digitize the embroidery designs myself - I purchase the designs in a file which I send to my embroidery machine to stitch onto the vinyl cover. Rita; Do you ship just in the US and CANADA or worldwide? A little about your family? this is a family business? do you have children helping? Alyssa: My husband and I have ten children ages 17 years to 10 months. Rita: boy do I know about this...all those hours writing my book I couldn't do it without our family's help and my husbands great cooking skills. Rita: What do you like about working from home? What's nice about working from home is that I can have my family close by while I work! I'm never really away from them since they are just through the doorway (accessible by baby gate which keeps little explorers safely away from scissors, rotary cutters and machines!). The older children often come in and sit with me while I'm sewing, telling me about their day. My six year old sits and reads to me or practices her poems and penmanship. I love that I can stop to proof read a book report or help find sources for a history paper, then swivel my chair and stitch a bit more. And I am very thankful for my supportive husband - who has made this entirely possible by, at first, funding my hobby, then "investing" in all the upgrades in equipment and supplies necessary when it became evident that my hobby was turning into a business. Rita: Wow, that is an AMAZING story Alyssa and thank you so much for sharing with us. Families are going to be very blessed by what you have to offer and I pray your family is blessed by providing a need to our Church today. God bless you! There are currently over 20 embroidery design choices available for further customization, with new designs frequently added. You can view them all at www.MissalCovers.com. 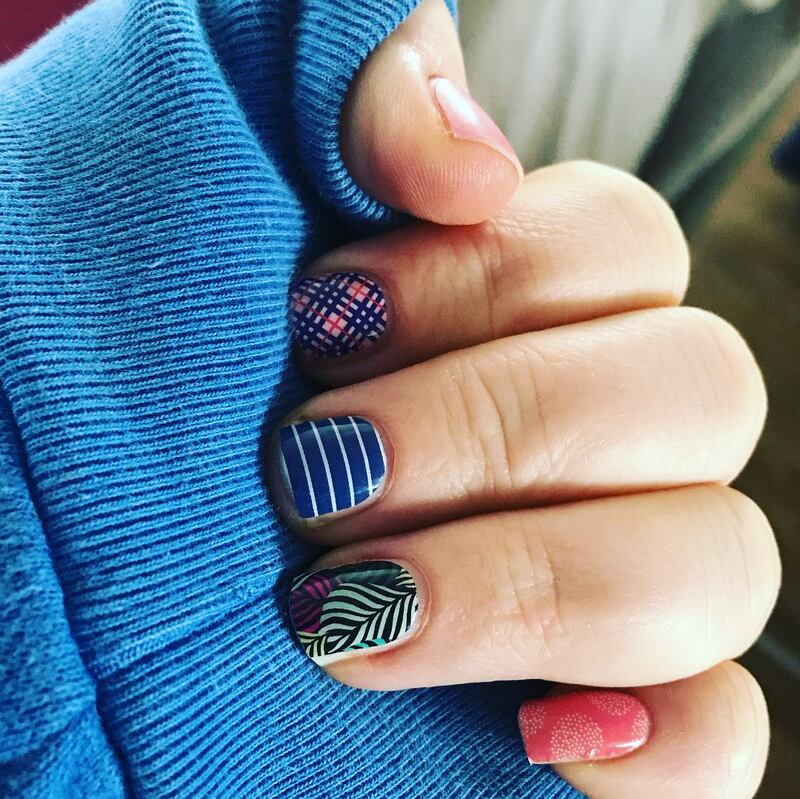 Be sure to get in touch with Alyssa for any special design ideas you might have. These look like great Christmas gifts! Do you have a home business with your family? 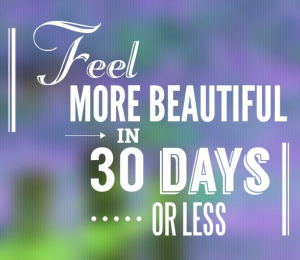 I would LOVE To hear from you if you do? Maybe YOU would be the next review I write up. 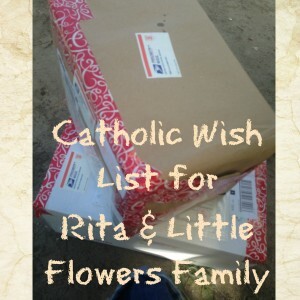 Rita is a Catholic wife, and mother of seven, with three autistic boys. 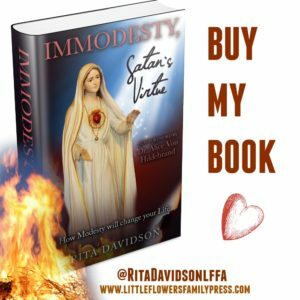 Author, of “Immodesty, Satan’s Virtue” (2001) and speaker, she has a PASSION for making #realcatholicmodesty understood. 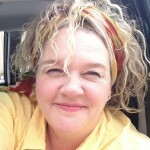 She is a licensed Hairdresser, and Make Up Pro with a degree in Natural Health who enjoys essential oils. She enjoys making people smile and sharing God’s love with anyone who will listen. After overcoming a stroke, disabilities, they lost everything in a devastating house fire that made them homeless for six months. She is determined to lead souls back to Christ by finding the #realcatholicbeauty in their lives by carrying their crosses with Joy! 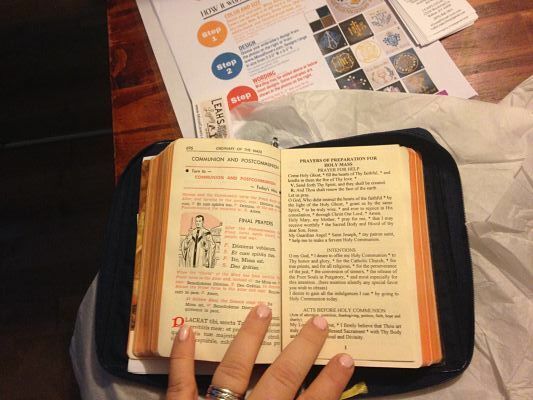 Am so happy to learn of her missal cover business, and her embroidered designs are beautiful. Will find her website & see all that is offered. Let her know you found her from us! Author of the bestselling, “Immodesty, Satan’s Virtue” saved from the ashes, returns in 2015!